The value of Bitcoin has recently soared past the $11,000 mark, bringing with it a huge increase in mainstream attention to all things cryptocurrency. All of this new interest in the space from consumers who do not have any crypto holdings has created an interest in how to properly purchase and secure crypto holdings for those who have no prior experience. In order to get started buying cryptocurrency without any prior holdings, you will need to either purchase some BTC through a trusted exchange, or receive a payment in crypto through a digital wallet service. For the more tech savvy, mining cryptocurrency coins is also an option to directly contribute to the ecosystem while simultaneously getting paid in that currency. So, how should you go about safely buying cryptocurrency? The most common approach, buying cryptocurrency through an exchange such as Coinbase or Poloniex, is the easiest way to dip your toes into the digital currency space. These exchanges allow you to swap fiat money for cryptocurrency, or crypto for crypto. In addition, they allow for you to purchase any fractional amount of Bitcoin (i.e. 0.0001 BTC, 0.00006 ETH), so you do not have to purchase one full Bitcoin or Ether. This allows for you to engage in this exciting space without needing to spend thousands of dollars right off the bat. Perhaps the easiest method of buying cryptocurrency for newcomers, Coinbase has a clean, user-friendly interface that greatly simplifies the entire process. In order to purchase cryptocurrency, you must attach your debit card and create a password. We recommend using two-factor authentication in order to better protect your private profile, we will go into more detailed security best-practices later in this article. Coinbase charges a 3.99% credit card purchasing fee, and 1.49% charge for bank transfers. The platform allows you to purchase either Bitcoin, Ether, or Litecoin, the three most commonly traded digital currencies. While Coinbase has had its security issues, it is a good starting point for those just trying to be involved in the movement. The largest cryptocurrency exchange, Poloniex allows for easy trading of any cryptocurrency. In order to participate in Poloniex’s exchange without cryptocurrency, you would need to purchase what is referred to as “tether” or USDT. This is a cryptocurrency that is backed by the USD, and it can be purchased directly through poloniex to then be used to trade for any cryptocurrency of your choosing. The problem with a lot of the large exchanges, though, is that many of them have a history of security breaches. It is our recommendation that you limit the amount of time you keep your holdings in the Poloniex exchange, as this only increases the chances that your security could be breached. Transferring your holdings to a secure online wallet or hardware wallet is highly recommended. What Should You Look For In an Exchange? Security: A good exchange should be very concerned with its users privacy, and should require multi-step authentication processes to keep hackers at bay. Having a picture ID and multiple passkeys are examples of best practices. Fees: It is important to understand how much the exchange will charge you for converting your money, and how this fee compare to other similar exchanges. The average fee for credit cards is about 4%, and bank transfer fees are usually 1-1.5%. Cash fees are usually 1%, although sometimes it can reach up to a 10% premium. ATM’s are subject to the same fees, where there is always a decent premium. Compare the rates of different exchanges to find the best value. Trading Limits: If you plan on buying large sums at a time, does the exchange support this much? 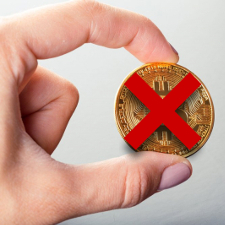 Withdrawal Limits: There are also withdrawal limits on exchanges that put a ceiling over how much you can withdraw at once. This can be a problem if you deal with large amounts, as you will want the majority of your holdings to be away from the exchange in a personal or hardware wallet for added security and to remove any chance of losing your cryptocurrency. Speed of Transfers: If an exchange does not allow for speedy transfers and makes you wait to exchange your funds, this can put you at a security risk. As we mentioned, large exchanges are historically prone to being compromised, so it is imperative to not keep your holdings in the exchange for long periods of time. The longer it takes for you to remove your funds, the more chance your holdings could be stolen. 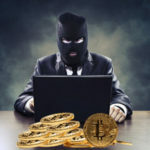 Large crypto exchanges, historically, have always been compromised by hackers in one form or another (DAO, MintPal, Cryptsy). In order to best avoid this, you must remove your holdings from the centralized exchanges you initially purchased your crypto from. This can be easily done through multiple services, and is as simple as sending an email. In order to send your assets to a separate wallet service, simply input the wallet address you were given when creating it, and hit send! Some examples of great and easy to use wallet services include the Jaxx wallet (Shapeshift), the Blockchain.info wallet and the BTC.com wallet. Jaxx ca be a great option because it allows for you to instantly swap between currencies as well, being powered by Shapeshift technology. This digital wallet comes in the form of an app on your phone, and makes storing and transferring your crypto holdings safe and secure through multi-step authentication. The safest variety of wallets come in the form of hardware wallets. These wallets can be small USB devices or tablets that put your cryptocurrency holdings in your pocket, and away from any chance of a hacker gaining access to them. The best choices for hardware wallets include the Ledger Nano S, Ledger Blue and the Trezor. When you become involved in the crypto world, you must become extra vigilant of your sensitive information. There are scams and phishing schemes that could be hiding anywhere from your email box to an innocent offer from a fellow exchange user. Avoid doing transactions with individuals who will not disclose information that is normally disclosed in an exchange. Scammers constantly use phishing attacks to try and trick people into visiting malicious websites that look official and promise some kind of value. They will send out fake but professional emails asking for a donation or inviting you to make a large profit, which you should be wary of. Use common sense, and if it seems too good to be true, it probably is. You should not follow any outbound links that are given to you, nor should you provide any private details asked of you.